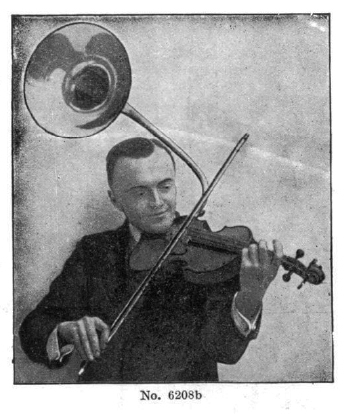 The Jedson catalog from 1930 is loaded with an extremely wide variety of musical instruments and accessories. It rivals catalogs from today's musician's supply companies such as Musician's Friend. 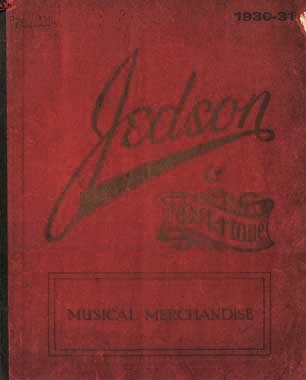 The catalog makes it clear that Jedson was more of a retailer/distributor of musical merchandise. Many instruments are Jedson-branded. in our day, we find "store-branded" merchandise as well - Musician's Friend and Guitar Center have merchandise with the store brand or store name. A good example is a series of Martin guitars sold specifically by Guitar Center having special model numbers that identify them. The catalog lists all of the common kinds of instruments - guitars, ukuleles, mandolins, percussion and brass instruments. It also contains very unusual instruments, many that are very collectible. My favorite is the "Jazzonette"
Non-musical merchandise also included. LoL.